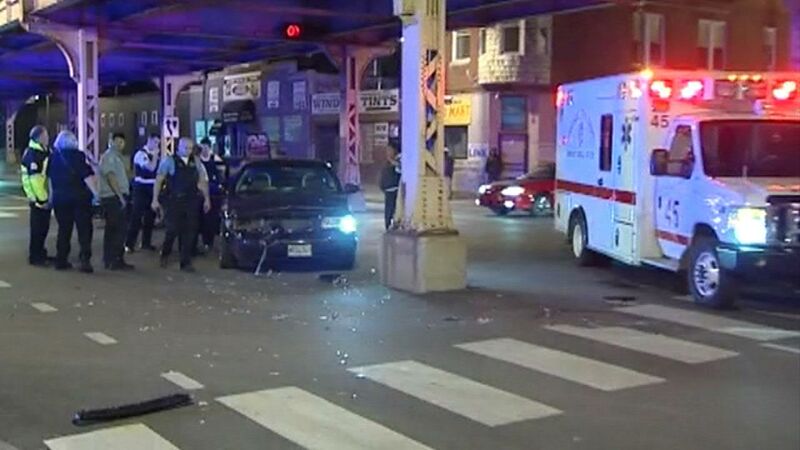 CHICAGO (WLS) -- Two police officers are recovering after a hit-and-run overnight in the city's East Garfield Park neighborhood. A squad car was going through the intersection at Homan and Lake when police say a car ran a red light, slamming into the front of the squad car. The suspects allegedly ran off, but two people were later taken into custody. The officer involved in the crash and another officer hurt during the chase were hospitalized but are expected to recover.